1Not available with special finance or lease offers. See dealer for details. 2Must finance through GM Financial. Some customers may not qualify. Not available with some other offers. See participating dealer for details. 3Not available with special finance or lease offers. See dealer for details. 4Pricing may not apply if vehicle has aftermarket or added on up fit accessories. See dealer for details. One of the most recognized SUVs based on luxury and power, the new GMC Yukon will impress St. Clairsville, OH customers as it goes above and beyond all other vehicles in its league. With a combination of superior luxury, amazing power, and an exterior that displays top-of-the-line expertise in every curve, this SUV is a total package. We have a large inventory of the new GMC Yukon in St. Clairsville, OH. It offers an aggressive and distinct look, yet not compromising on comfort. The refined interior features comfort and boasts spaciousness. With an intelligent infotainment frame offered in the new GMC Yukon, St. Clairsville, OH drivers can enjoy every ride with ease and style. Its safety mechanism ensures you and passengers stay protected. Our line of inventory can be found on our website. Come down to explore the deals that we offer on the new GMC Yukon, in our inventory in St. Clairsville, OH. Our professional staff will help you choose the right vehicle for your needs. 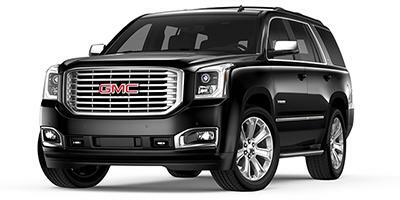 We are happy to offer the new GMC Yukon to our St. Clairsville, OH customers. Come and check what financing options are available on this SUV. View our hours and map page for detailed directions to our dealership. You can also test drive a new GMC Yukon at our St. Clairsville, OH dealership.